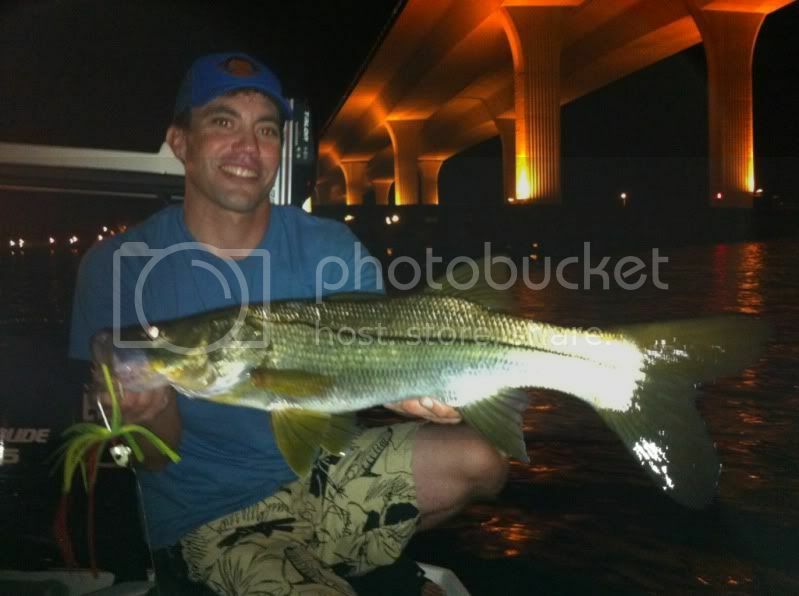 As soon as the afternoon rain storms passed we launched for a bridge and dock night of snook action. We had the last hour and a half of the outgoing tide to start with which was right at sundown so we started off with a few snook on a seawall in the river. As the sun set we ran up to the big bridge to catch the end of the tide and to scout out the scene. As we set up and start casting the snook started hitting. 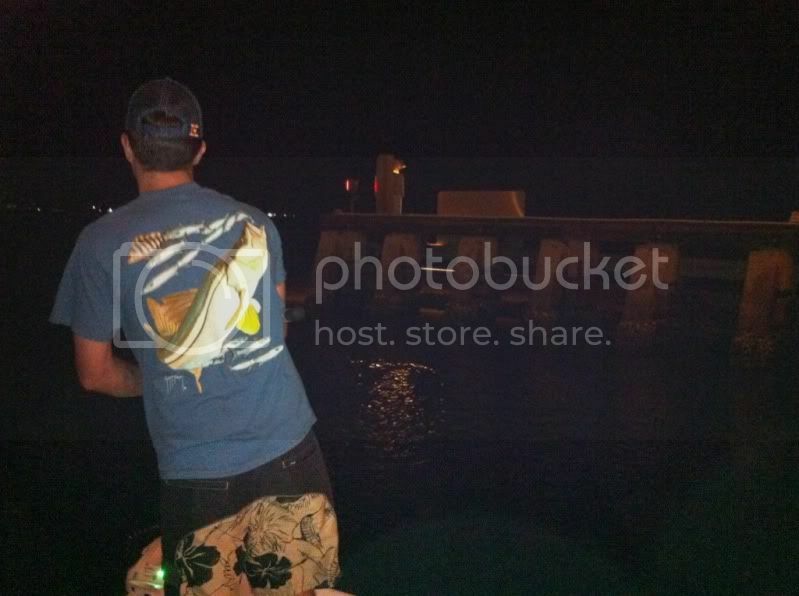 Just as the tide begins to slack Andy pulls a nice 30 inch snook off one of the fenders. We then reposition to ready for the start of the incoming and make a few casts. 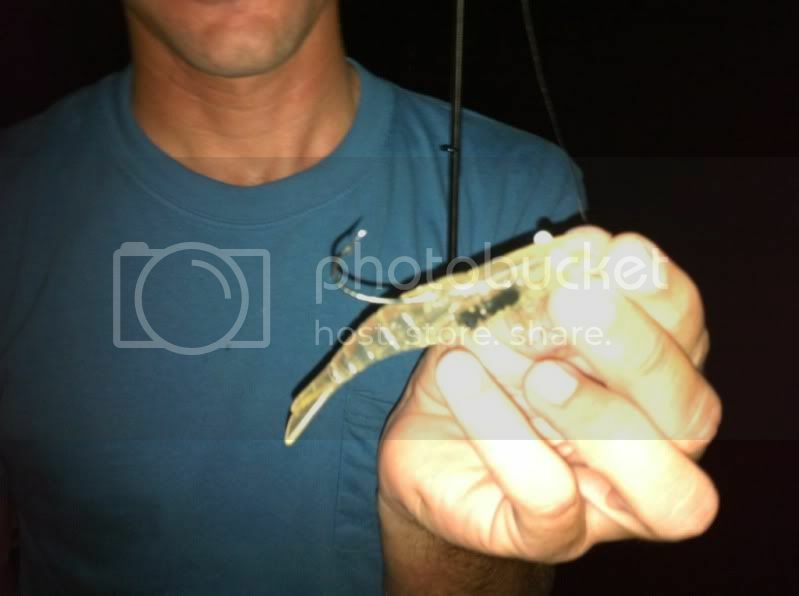 After a few tail bites Andy hooks on to a big one, 40 inches easy. We were able to leader the fish and he had her lip in his hand only to have her shake out and off the hook. Man that was a big fish. Here's a few shots of the 30". 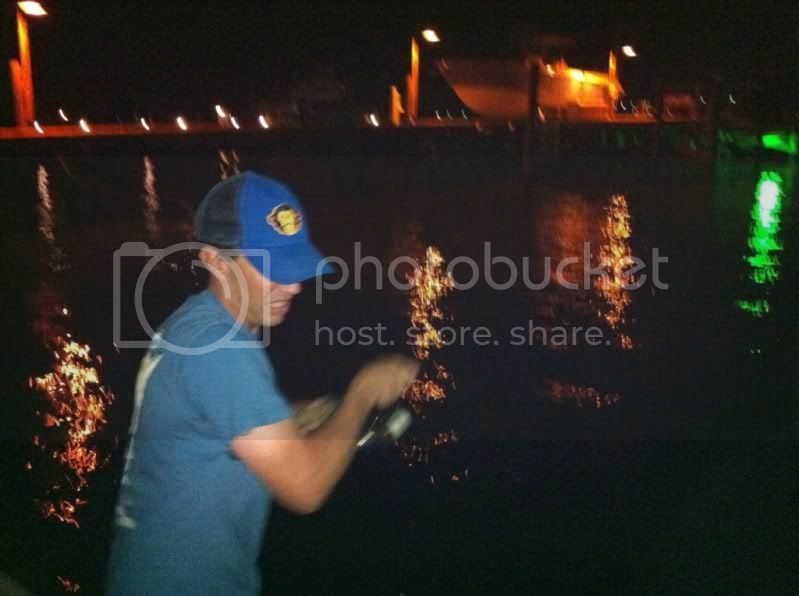 The bridge action was on fire but we also wanted to hit a few dock lights with lighter tackle. The tide was moving in pretty good now and the fish were going off under the lights. A hit, pop or boil on almost every cast started it off. Andy lands a few smaller fish pretty quick. 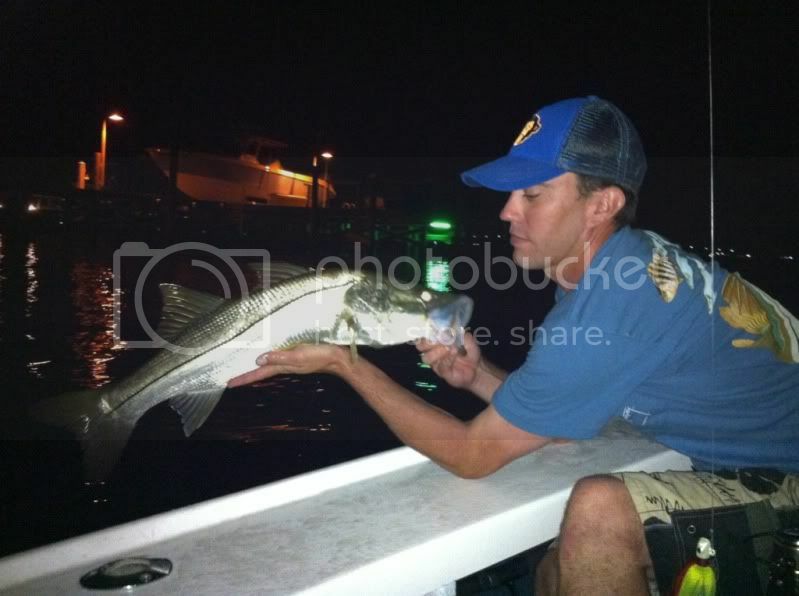 Then I landed this swordspine snook which are pretty plentiful on this dock. Andy caught one at almost 24" last week. We then turned up towards the shore and can almost sight cast to snook of all sizes. 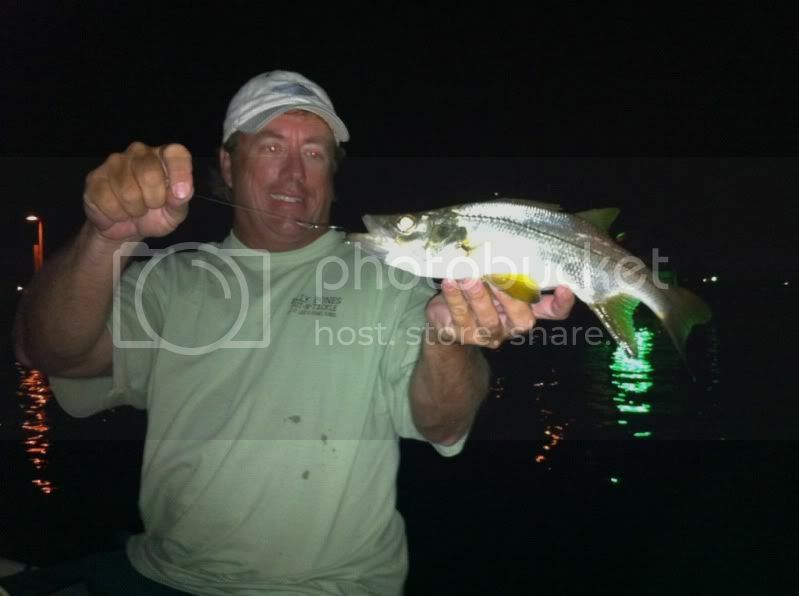 Andy casts into a pod cruising along the dock and gets' slammed by a 30 inch snook. This is on light tackle so she put up a hell of a fight and almost straightened out the hook. Luckily the hook held long enough to land her and get a few pics. Nice job! Looks like fun!